WASHINGTON (AP) — For decades astronomers tried to prove Albert Einstein right by doing what Einstein thought was impossible: detecting the faint ripples in the universe called gravitational waves. They failed repeatedly until two years ago when they finally spotted one. Then another. And another. And another. Three American scientists — including one who initially flunked out of MIT — won the Nobel Prize in physics Tuesday that launched a whole new way to observe the cosmos. 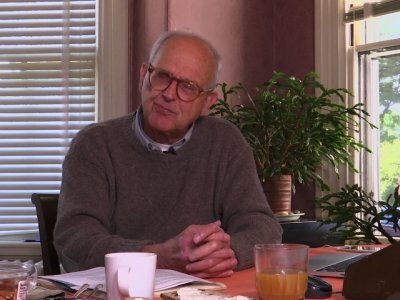 Sweden’s Royal Academy of Sciences cited the combination of highly advanced theory and ingenious equipment design in awarding Rainer Weiss of the Massachusetts Institute of Technology and Barry Barish and Kip Thorne of the California Institute of Technology. “It’s a win for the human race as a whole. These gravitational waves will be powerful ways for the human race to explore the universe,” Thorne told The Associated Press in a phone interview. The trio were part of a team of more than 1,000 astronomers who first observed gravitational waves in September 2015. When the discovery was announced several months later, it was a sensation not only among scientists but the general public. These are waves that go through everything — including us — but carry information on them that astronomers could not get otherwise. “The best comparison is when Galileo discovered the telescope, which allowed us to see that Jupiter had moons. And all of a sudden, we discovered that the universe was much vaster than we used to think about,” Ariel Goobar of the Swedish academy said. Gravitational waves were first theorized a century ago by Einstein, but he didn’t think technology would ever be able to detect the tiny wobbles, smaller than a piece of an atom. The waves are like “a storm in the fabric of space-time that is produced when two black holes collide,” Thorne said. The first detection came from a crash 1.3 billion light-years away. A light-year is about 5.88 trillion miles. The prize is “a win for Einstein, and a very big one,” Barish told the AP. The waves are detected by a laser device, called an interferometer, which must be both exquisitely precise and extremely stable in a project that cost $1.1 billion dollars. The first observation involved two of the devices about 1,900 miles (3,000 kilometers) apart — in Hanford, Washington, and Livingston, Louisiana. They came about 7 milliseconds apart, consistent with the speed of light. A new detector in Italy went online and helped in the discovery of the fourth wave. With the technology that the three developed “we may even see entirely new objects that we haven’t even imagined yet,” said Patrick Sutton, an astronomer at Cardiff University in Wales. The German-born Weiss, 85, who initially spearheaded the research effort, was awarded half of the 9-million-kronor ($1.1 million) prize amount. Thorne, 77, a theorist, and Barish, 81, who was a project director, will split the other half. For decades, the scientists pushed for money to start the massive LIGO project, getting their first National Science Foundation grant in 1992. The first version of the detector went through six long runs looking for gravitational waves, but didn’t find them because it wasn’t technologically precise enough, Barish said. And computer programs needed to solve Einstein’s equations weren’t quite right and “the quest was foundering,” said Thorne, who peeled away from the detector work to form another collaboration to get better computing for detection. Two decades after construction “we finally struck gold,” Barish said. Weiss also overcame failure. After flunking out of MIT, he didn’t have anything to do so he offered himself as an electronics technician to a lab at MIT and learned how to solder and deal with people. He returned to school, got his bachelor’s and doctorate at MIT and ended up as a professor there. Professor Alberto Vecchio, from the University of Birmingham’s Institute of Gravitational Wave Astronomy, said this discovery will produce results for decades to come. For the past 25 years, the Nobel physics prize has been shared among multiple winners. Last year’s prize went to three British-born researchers who applied the mathematical discipline of topology to help understand the workings of exotic matter such as superconductors and superfluids. The 2017 Nobel prizes kicked off Monday with the medicine prize being awarded to three Americans studying circadian rhythms — better known as body clocks: Jeffrey C. Hall, Michael Rosbash and Michael W. Young. The chemistry prize will be announced Wednesday, the Nobel literature prize on Thursday and the peace prize on Friday. The economics prize, which is not technically a Nobel, will be awarded on Monday. Heintz reported from Stockholm. David Keyton in Stockholm, Christopher Weber in Pasadena, California, Rodrigue Ngowi in Newtonville, Massachusetts, Collin Binkley in Boston, Massachusetts, Bob Lentz in Philadelphia, Michelle Monroe in Phoenix and Malcolm Ritter in New York contributed to this story.